Barcelona : While Washington’s concerns that future 5G wireless networks could be vulnerable to spying by China have dominated headlines, businesses have long been pushing to make sure the technology is as secure as possible. 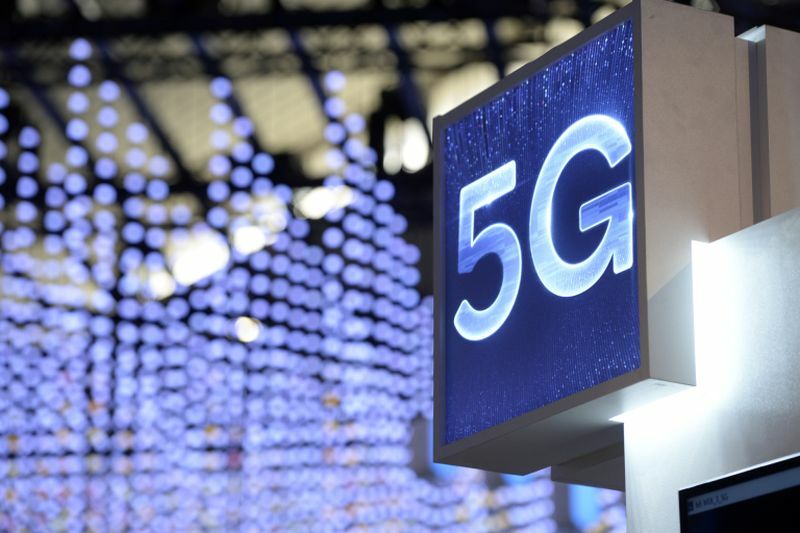 With fifth-generation wireless networks, or 5G, starting to be rolled out this year, the issue of 5G security was in focus at the Mobile World Congress trade fair which got under way Monday in Barcelona. Unlike upgrades of wireless networks in the past, 5G will deliver not just faster phone and computer data but also help connect up cars, appliances, cargo and crop equipment. Washington has warned that allowing Chinese firms like Huawei to provide the equipment to build 5G networks could leave them vulnerable to spying on the part of China but this is only one of the risks. 5G’s much faster speeds, vast data capacity and lower latency — or response time — are expected to underpin entirely new technologies such as self-driving cars and telemedicine — which in turn may attract cyberintrusions by criminals or terrorists. “There will be more data which will be transferred…it is clear that security is much more complicated,” said Yannick Sadowy, the director for telecoms and media at consulting firm Accenture. Mathieu Lagrange, who is responsible for internet security at <b>com institute, said the risks to 5G’s security “were taken into account” when the norms for the technology were established. But a study by the University of Lorraine in France found that the new wireless network still contains some security holes which were already present in previous networks, 3G and 4G. 5G offers “improved data protection when compared to the previous wireless norms” but “flaws persist and the weaknesses that have been identified” could allow “several cyberattacks and have an impact on the protection of privacy,” it said. Experts say the architecture of 5G networks also presents entirely new security challenges. Fifth generation wireless networks use “network virtualisation”, which refers to moving some resources which have traditionally been delivered in physical hardware to a virtual software-based network. It is designed to allow the network to make better use of data transfer rates and provide more flexibility to 5G networks. “Operators are moving from a hardware system to a virtualised and fully automated one,” said Darren Anstee, technology director at Netscout, which provides software for networks. “Security is about visibility, when you can’t see everything on your network, this is when you have a problem,” he added. “We can create a kind of micro-networks, with different levels of security. The idea is to compartmentalise the network according to different uses,” said Laurent Boutet, a systems engineer at US computer networking company F5Network. Mobile communications industry body GSMA, which stages the Mobile World Congress, estimates the number of connected devices will triple to 25 billion by 2025. “From the point of view of security, the network itself is secondary,” he said. “You have to keep in mind that nothing will ever be 100 percent secure. We still don’t have a precise idea of how billions or even trillions of connected objects could affect networks, it is still unknown at this point,” said Thillien.